Title: 06/14/1988 - Letter to Lawrence N. Curcio from Thomas Shepich concerning requirements of the HCS on labeling of IARC category 2B carcinogens. Your letter of April 8 to Mr. Leo Carey has been forwarded to me for response. You have asked for clarification of an apparent inconsistency in guidance provided to our compliance officers regarding requirements for labeling International Agency for Research on Cancer (IARC) category 2B carcinogens. 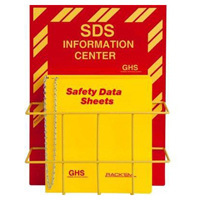 While all hazards covered by Hazard Communication Standard (HCS) must be listed in the Material Safety Data Sheet, selection of hazards to be highlighted on the label will involve some assessment of the weight of the evidence regarding each hazard listed on the data sheet. If valid studies include positive evidence of human carcinogenicity, OSHA requires hazard warnings of carcinogenicity on the label. IARC's summary classification of a chemical's carcinogenic risk as a category 2B is reserved for cases where there is sufficient evidence to classify substance as an animal carcinogen but inadequate data to classify it as a human carcinogen. In general, carcinogen labeling would not be required for chemicals in this category. Of course, if sufficient evidence of human carcinogenicity has become available subsequent to the publication of the IARC summary evaluation, carcinogen warnings on labels will be appropriate and required. We hope this information will be helpful to you. If we can be of further assistance, please feel free to contact us again.